Why was the Bar U designated a National Historic Site? The Bar U Ranch was designated a National Historic Site of Canada because of its important role in the ranching industry of Canada. Today, this long and illustrious history of the Bar U Ranch, and the buildings and its other features dating from the late 19th century, provide a direct link with Alberta’s ranching heritage and the ranching industry of Canada. Who owns the Bar U? The Bar U Ranch is owned and operated by Parks Canada, an agency of the Canadian Federal Government. Who are the Friends of the Bar U? The Friends of the Bar U is a non-profit charitable organization that strives to promote understanding, appreciation and respect for the natural history and cultural heritage of ranching. There are thirteen board members from the surrounding community. What is a Cooperating Association? A cooperating association or “Friends” group is an association that provides visitors with enhanced services and programs and helps generate revenue in support of their Partner Park or historic site. When were the Friends of the Bar U established? The Friends of the Bar U was established in 1989 and Parks Canada purchased the ranch in 1991.
Who are our members and how many do we have? Our members are mostly made up of individuals, families and businesses from the surrounding community but we also welcome members from across Canada, and internationally. We presently have approximately 200 members and we invite new members to join on a regular basis. How are the Friends of the Bar U funded? Funding is gained through the sale of memberships, our annual Stockman’s dinner, income from our cow herd, annual trail ride, individual and corporate donations, casino revenue, government and private grants and through merchandise sales from our store. All funds generated through revenue sales, donations and grants are directed toward the development of new programs, projects and other initiatives that help us fulfill our mandate. How do I become a member of the Friends of the Bar U? Contact us or see downloadable application form. Two newsletters are published annually, apprising members of upcoming events and volunteer opportunities. A fraction of its former size: 367 acres, including the original ranch headquarters. At one time the Bar U comprised 160,000 acres of grassland ranging 30,000 head of cattle and 1,000 head of purebred Percheron horses. Did the Prince of Wales visit? Yes, first in 1919 during a goodwill tour of Canada after World War I. Edward Prince of Wales and Wallace Simpson visited the Bar U and befriended ranch owner George Lane. So taken was the Prince with Lane and the Bar U that he bought the neighboring ranch, renaming it the EP. The EP was sold in the early 1960s. In the southern Alberta foothills, on the eastern slopes of the Rocky Mountains, in some of the most scenically breathtaking ranching country in the world. Approximately ninety minutes drive southwest of Calgary, Alberta, the site lies just west of the junction of Highways 22 and 540, along ‘The Cowboy Trail’. Whether driving from Calgary, Banff, Kananaskis, High River or Pincher Creek, Alberta, the ranch is easily accessed and is close to all amenities. What are the admission rates? Adults $7.80, Seniors $6.55, Youths $3.90, children six and under free. Family rates are offered at $19.60 and tour groups at $6.55 per person. All fees include GST. Is the site smoke free? Smoking is permitted in a designated area outside the visitor centre. Smoking is not permitted inside the visitor centre nor anywhere on the historic site. Due to the site’s irreplaceable buildings and artifacts, and the potential for grassfire, ‘no smoking’ rules are strictly enforced. Dress for the weather, hot, chilly, rainy or cold. This may mean sturdy shoes or boots, a hat, gloves, sunscreen, warm jacket, extra sweater, umbrella or raincoat. And don’t forget your camera! Is the Bar U a museum? The Bar U isn’t so much a museum as it is an historic “working ranch” offering visitors a “living ranch experience” commemorating ranching history. A National Historic Site, the ranch maintains a small herd of cattle, three teams of Percherons work horses, and a number of saddle horses. It is the only site in Canada to commemorate ranching history. The site comprises a visitor center, including video theatre, restaurant and gift shop, and over thirty heritage buildings making up the original Bar U Ranch headquarters. Led by heritage interpreters, guests are invited to literally step back in time to touch and smell living history. Whether watching demonstrations of real ranch skills, such as roping, cattle handling, saddle making and horse shoeing, or learning how to throw a lasso, make bannock or take the wagon reins of the mighty Percherons, visitors are transported back in time to not only learn the history of Bar U but experience it. Guests are also invited to hike a number of trails, browse the visitor centre gift shop, enjoy a meal in the Bar U restaurant or an outdoor picnic, and watch “The Mighty Bar U”, an award-winning historical video shown in the Visitor Centre theatre. 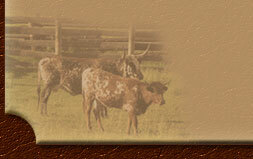 The ranch hosts a number of special events during the visitor season (click on Special Events). Whether a cowboy beef stew cook-off, chore horse competition or old time ranch rodeo, all provide great family entertainment. The Bar U visitor centre and washrooms are all wheelchair accessible. So are washrooms located below on the ranch site. While some of the heritage buildings are wheelchair accessible, including the Bar U cookhouse, a gravel road connecting the buildings can be bumpy and rough. The Bar U roundup camp, an exterior site, is wheelchair accessible. Where possible, visitors with wheelchairs and walkers are accommodated on horse-drawn wagons shuttling guests from the Visitor Centre to and from the ranch site. While the ranch welcomes leashed pets in an area outside the visitor center, no pets are allowed inside the visitor centre or on the historic site. Does the Bar U cater to private functions? Private functions, including weddings, meetings and corporate retreats, are considered by Bar U staff on a case by case basis according to time, date, number of guests and available staff. Is overnight accommodation available at the ranch? The Bar U does not offer overnight accommodation but guest ranches, camping, B&Bs, hotels and motels are all located in close proximity. Accommodation may be found in a variety of communities, including High River, Pincher Creek, Longview, Okotoks, Black Diamond and Turner Valley, Alberta. Chain Lakes Provincial Park, which offers seasonal camping, is located on Highway 22, a ten minute drive south of the ranch. Does the Bar U offer horseback riding? The ranch does not offer horseback riding but you can ride on one of the horse-drawn wagon shuttles. Bar U staff are happy to recommend a variety of neighboring guest ranches that do offer horseback riding.